This guy’s Christmas medley is bound to put anyone in the mood for festivity and comprises of some old school favourites (my personal favourite out of the medley tunes is definitely Chestnuts Roasting on an Open Fire). These are festive tunes that anyone would probably recognise and of course, although this (clearly very talented) Youtube guy is playing quite showy versions, every piece of music in the medley could be easily simplified for the less advanced player. Every Christmas piece of music you can think of will be available in sheet music form online somewhere (and probably somewhere very easy to get hold of). 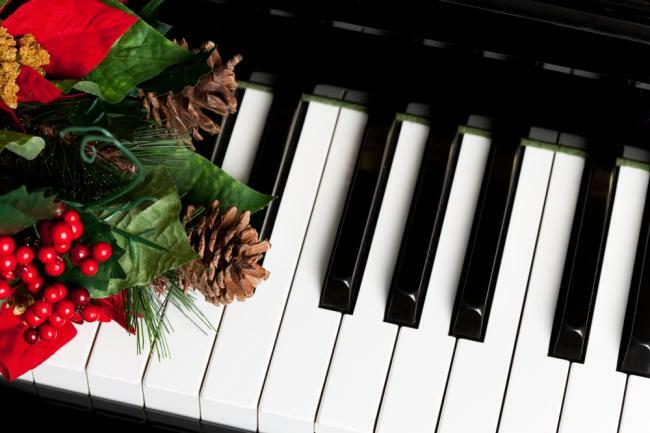 Due to the ease of accessibility of getting hold of Christmas music (in every standard imaginable and also every key and clef) it should be quite easy to put together some kind of medley to play at home on your piano or digital piano. Of course if you want to create your own piano medley and do as pianodoc82 has done, you too could Youtube the whole thing. There are a wide range of pianos where you can actually record your playing straight onto a USB pen drive in MP3 format which would then be simple to overlay onto a video of you playing for the best possible sound quality. The Chase P-40 (soon to be replaced by the Chase P-50) is a very good option if this is something you would be considering. It is a superb digital piano and at a rock bottom price you would be mad not to get in on the deal! Previous Previous post: Will Santa bring a toy piano this Christmas?! Next Next post: The German Markets Return to Manchester! !